Real-Time Interaction Management (RTIM) systems are designed to deliver users the best offer or next action, based on the current context and their particular needs. In other words, RTIM solutions are meant to power the anticipated customer experiences that users increasingly expect. In that initial report, only two of the profiled 11 vendors achieved the top Leader category — Pegasystems and Teradata. That’s not surprising, since this kind of platform — essentially a state machine that has to immediately deliver the right offer or action on the most appropriate channel and based on many datapoints — is a high bar to clear. But in this new report, SAS and Salesforce join Teradata and Pegasystems as Leaders. FICO, Kitewheel, Pitney Bowes, Adobe and IBM are characterized in the second-highest category of Strong Performers, while Certona and Emarsys land in Contenders. Infor is the only vendor in the bottom group of Challengers. Pegasystems, Teradata, Salesforce. The report notes that RTIM platforms cover five segments: next best experience, cross-channel marketing, personalization, loyalty marketing and cross-channel communications. Each of the five represents a variation on the scope and timing of communication with customers, but Forrester’s report is focused primarily on next-best-experience solutions that deliver across channels. Among the Leaders, Pegasystems is praised for its integration of digital decisioning, process automation, case management, advanced analytics, AI and support for contact centers, chatbots, mobile devices and integrated voice response. The report points to Teradata’s Customer Journey solution, which includes real-time decisioning, and its Customer Interaction Manager for cross-channel orchestration, all based on the company’s large-scale customer data management platform. Salesforce gets a shout-out for now positioning its RTIM around its Interaction Studio, part of its Marketing Cloud and launched in the middle of last year, instead of its past practice of embedding RTIM in its email, mobile and web modules. Interaction Studio was developed with customer engagement platform Thunderhead, which Forrester considers a Leader in journey orchestration and visioning. But the research firm notes that Interaction Studio is still rules-based, instead of relying on Salesforce’s Einstein layer of advanced AI to make decisions. SAS, Kitewheel, Pitney Bowes, Adobe. SAS is cited for its advanced analytics for decision arbitration, measurement and optimization. The report says the platform works well for enterprises looking to make analytics a core requirement, although it notes the need to enhance digital intelligence and channel integration. Pitney Bowes leverages its customer services expertise, Forrester said, with a RTIM emphasis on contact centers, face-to-face channels and outbound marketing. And Adobe, with its huge portfolio of modules in Experience Cloud, has a strength in personalizing customer experience across channels, although it doesn’t offer the centralized decisioning of the other providers. Why you should care. RTIM is, essentially, the delivered maximal vision of digital marketing, where a brand gives you what you really want, when you want it, on the best channel and in real time. With such a large vision of customer experience, the category encompasses a wide range of platforms and integrations. 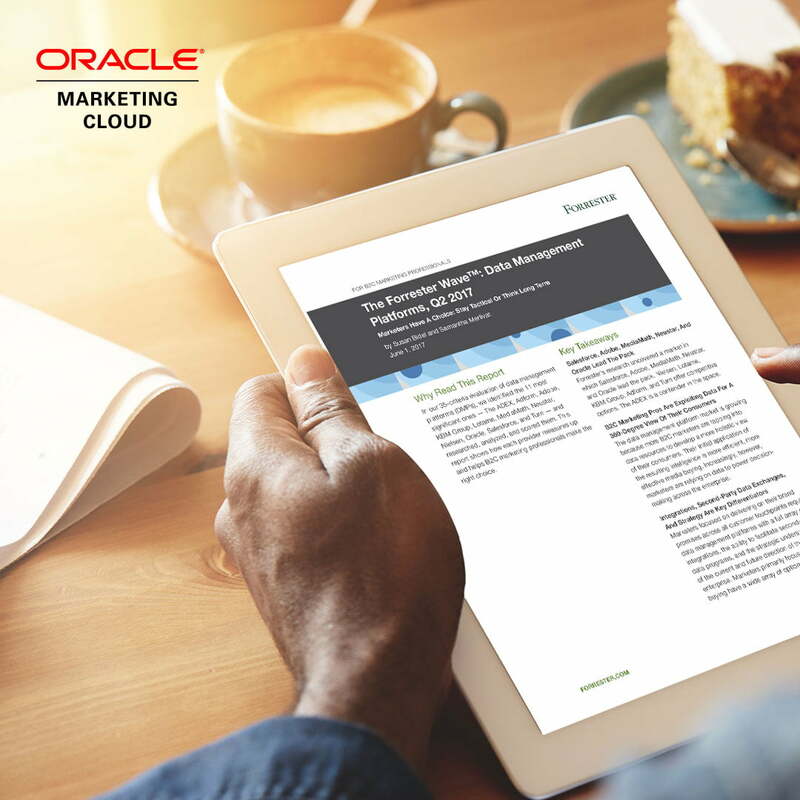 Forrester’s emphasis on next-best-offer or action gives the report a focus so that it can only address a dozen vendors, but the range of solutions is potentially much larger. Like Customer Data Platforms, Real-Time Interaction Management is a developing solution that addresses the real-time, personalized delivery needs of modern marketing, but has emerged as its own category only in recent years.